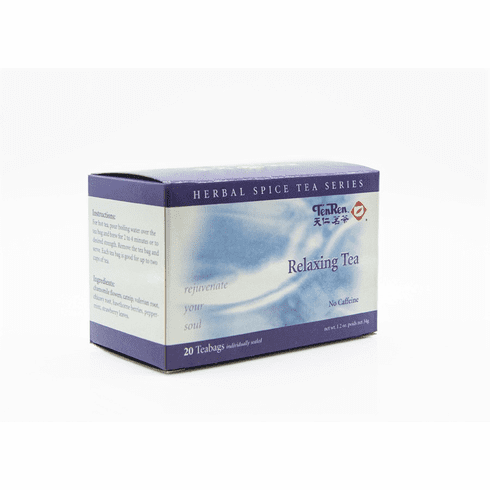 Relaxing tea is a caffeine free blend of natural herbs and spices consisting of chamomile flowers, catnip, valerian root, chicory root, hawthorne berries, peppermint, and strawberry leaves. When brewed, Relaxing tea has a mild honey flowery aroma, reddish color, and a mild semi-sweet mint taste. This is the tea for those enjoying a relaxing day. Available in boxes of 20 bags. Shipping weight is 0.16 lb.